What I’m about to tell you shrinks all of these into insignificance. Let’s not kid ourselves, I am not a sportsologist of any kind. (That’s the right term, yeah?) But I feel the need to share a piece of inside information with NRL fans, specifically fans of the St George Illawarra Dragons. There are a lot of sad Dragons fans out there at the moment. I know because I live with one and I also live in the Illawarra, so I see a lot of fans in Dragons jerseys openly sobbing while they go about their day-to-day activities. Another tell-tale sign is the scoreboard. This afternoon the Dragons got beaten 36 nil. I’m pretty sure even I could manage a better score than that. (This is not meant to be derogatory to the Dragons because I am a woman**, but rather because my #1 objective on the sporting field is to keep as much distance as possible between myself and a ball.) In fact, considering the fact that last week they were beaten 38 to 6, I wouldn’t be surprised if the NRL introduced participation certificates specifically for the Dragons, or perhaps started a new arm of competition where no points are recorded and everyone’s a winner by virtue of the fact they had a go. Perhaps this is all a little harsh and mean-spirited, like I said I’m no expert. Perhaps this is part of a long-term strategy in which the Dragons bore their opponents into a semi comatose state, at which point they – the Dragons – then score some points. Any points really would be an improvement. Problem is they are experts. They are paid for this stuff. So here’s the inside scoop, folks. I have observed the Dragons training and even I, with little to no knowledge of Rugby League, can identify exactly where they are going wrong. My insights come from spending time at the gym, the same gym as the Dragons frequent. (This was not by design on my part, but I doubt many young ladies who patronise the said gym could say the same.) My time observing the Dragons started out fairly positively, one would oft sight them all lined up on the exercise bikes, peddling away whilst a fellow with a clipboard helped them out by setting the resistance and timer and what not. Sometimes they would have a go in the pool, each with their team’s name proudly displayed across their rear; for safety purposes I presume, if should one be found wandering, confused and lost by the tennis courts, they could be identified and returned to the fellows with the clipboards and whistles. They put on the show one would expect from professional sportsmen, had all the right gear etc. But then one day I witnessed something distressing. Was it Josh Dugan getting stuck in the turnstile? No, although I did witness this and it’s fair to say it was more amusing than distressing. No, dear reader, one day I was heading across to the gym, passing some shrubbery when, what should I spy there amongst the bushes? Two Dragons, in full regalia, puffing away on sneaky durries like a couple of year nines behind the Science block at recess. I thought I was seeing things. For months I told myself that the gents responsible for a large portion of the Illawarra’s collective mental health would never spend money paid to them to PLAY SPORT on cigarettes and then smoke said cigarettes during training. But then just last week I spotted a Dragon there amongst the trees by the oval, having a little rest, a little breather. Perhaps finding inspiration in nature or contemplating the more meditative aspects of maneuvering a ball around the field for cash. Unfortunately, as I neared, the plumes of smoke around his head area signalled that while he was taking a breather, it wasn’t air he was focused on breathing. That information is shocking I know. Take a moment to process that mental image while I feed you another truth nugget: THE DRAGONS ARE AFRAID OF RAIN. Yes, just days after the second smoking sighting, as I was making my way from the gym to the car park, I was caught in a bit of a downpour – as is quite common in this temperate region (FIFA, take note.) Also caught in the downpour, mid-training session, were the poor Dragons. Yes, I’m sure you’ve seen NRL players in the rain before, carrying on with the game in the mud like gallant soldiers at the Somme. Not these ones. No, these ones had fled the field and were cowering, bone dry, under a small awning. They weren’t even puffing in any sense of the word. It was as if they had been taking only a brief turn around the grounds in the manner of Elizabeth Bennet or similar. 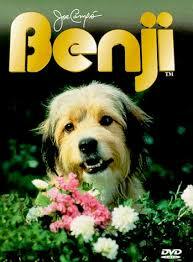 Granted, Benji wasn’t there. And we all know he isn’t afraid of anything. But even the most talented player is rendered useless if all his teammates have fled the field for fear of messing up their hair. So all I can say, Dragons fans, is if you thought these last two weeks were bad, heaven help you if it should rain. **Some women are kick-arse at League, I know one, she’s a size 8 but could put most men to shame with her tackling skills. Somerset: students, lamingtons and book cakes.